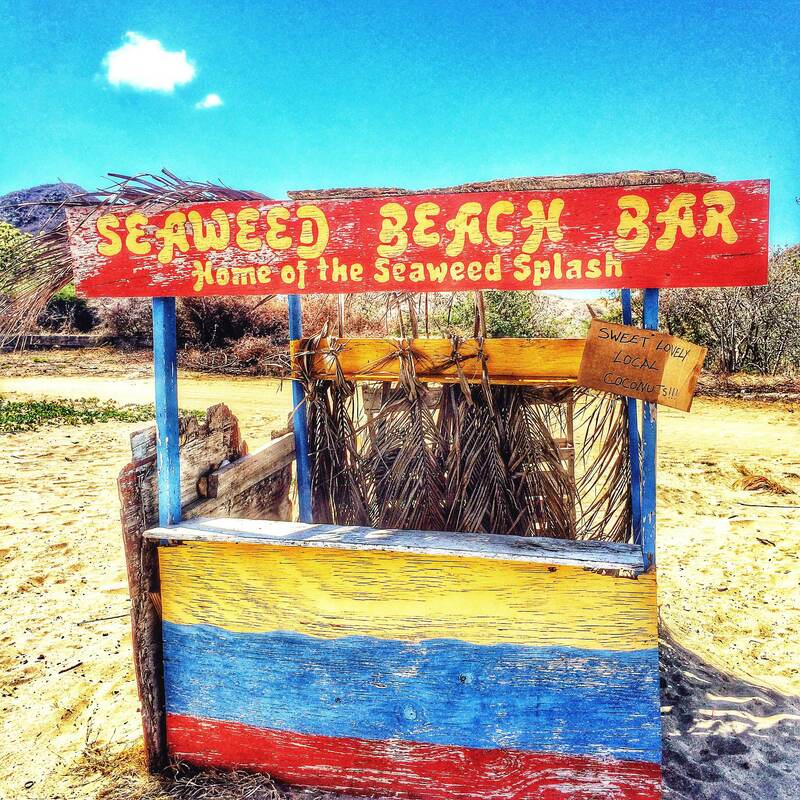 Does St. Kitts Have The World’s Smallest Beach Bar? 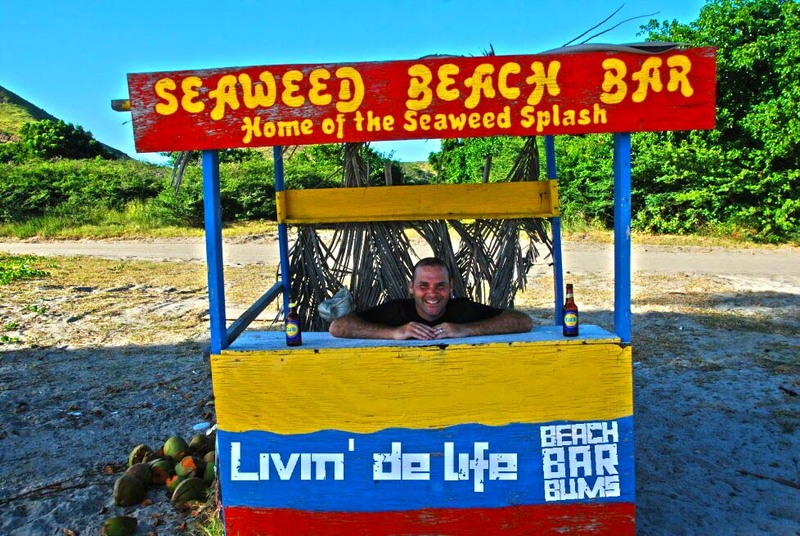 Home » Beach Bars - St. Kitts » Does St. Kitts Have The World’s Smallest Beach Bar? 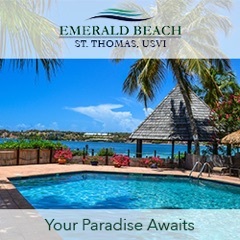 Seaweed Beach Bar in St. Kitts is located on Cockleshell Beach between two titans of the beach bar universe – Reggae Beach Bar and Lion Rock Beach Bar. While it may not reside in the same stratosphere as those two when it comes to the beach bar hierarchy, it does occupy its own tiny little space. It’s kind of like the Andorra of beach bars – it’s small but you can’t deny it’s there. It even has its own signature drink, the Seaweed Splash, which, while it doesn’t sound that tasty, can’t be any worse than the rum and coke I ordered at a karaoke bar in Vietnam. That drink was heavy on cheap rum (if it even was rum) and I swear it glowed, though that could have been attributed to the overabundance of neon and fluorescent lighting and shots of warm Smirnoff Black Label Vodka we had beforehand (still not available in the US as far as I know). Anyway, I digress. 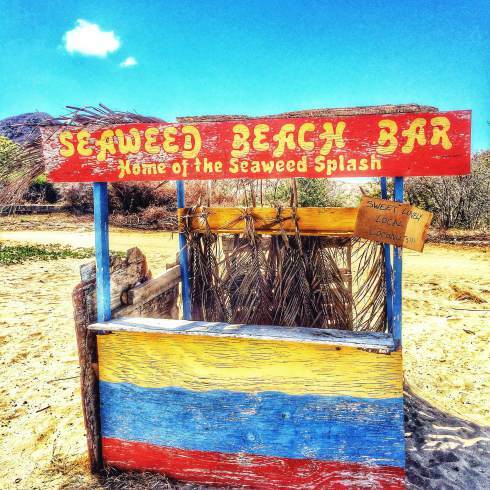 When it’s all said and done, how cool would it be to tell all your friends you had a Seaweed Splash at the world’s smallest beach bar? I, for one, would be totally impressed and would probably buy you a round of drinks … and then promptly remind you that you owe me a round. But hey, we’d be sharing some great stories! The first image was taken by yours truly (my apologies for the model – my options were limited) in December of 2012. The second image was taken by Robyn Folmar, (@burbanist on Instagram), a few months ago. It’s interesting to note the affect the Caribbean elements have had on the wooden planks that make up Seaweed Beach Bar. 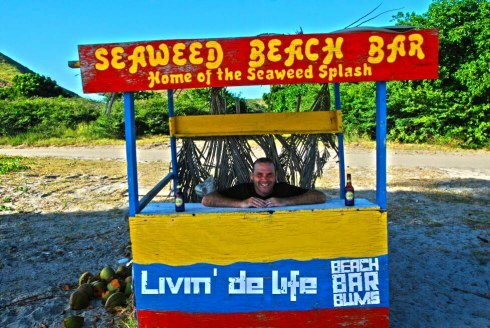 Do you feel the need to belly up to the world’s smallest beach bar? 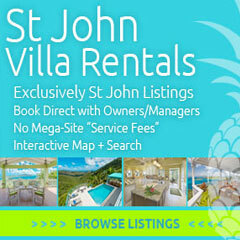 If so, you’ll need to contact St. Kitts Water Safaris since they own it. Enjoy some water sports activities and then cool off with a Seaweed Splash at the end of the day. Sounds like a pretty good day to me!